So, I been a pretty bad blogger so far in April, right? For an “international” music blog, every entry this month AND even last month was mostly related to something Japanese. 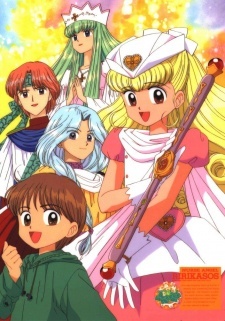 I admit, one of my favorite genres is Japanese music because it’s so diverse (and so easy to get). But, let me make up to my non-Japanese music loving readers with this treat from the Down Under. 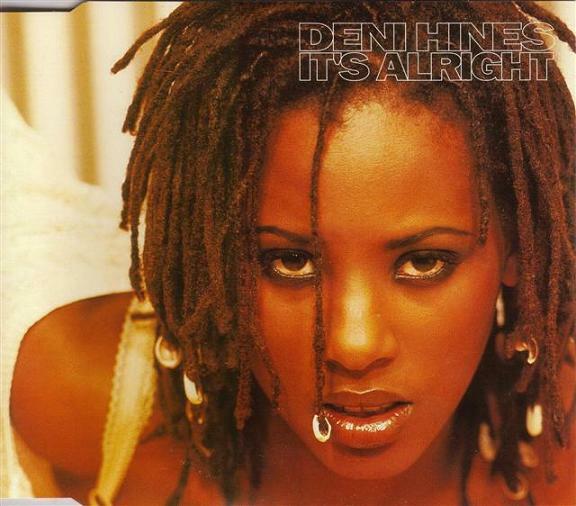 If you ever mention Deni Hines to any Aussie, they will most likely laugh. Most of my friends and coworkers did. They didn’t believe that Deni had a “one hit wonder” singing career outside her normal acting one. But, if you have no clue in what I am saying, just read on and hopefully things will make some sense by the end of this post. Daughter of “American-turned-Australian” disco singer and stage actress Marcia Hines, Deni always dreamed that she could have a career like her mother’s successful musical career. After encouragement to pursue a career in music from her friend, Hines became a backup singer for popular Aussie artists’ tours like Kylie Minogue, Peter Blakeley, and others. A little while later, she was approached by the dance meets R&B band Rockmelons to be their leading vocalist for a couple of singles. She agreed and they released their first single together, a cover of Bill Wither’s song “Ain’t No Sunshine”, in 1991. She later parted ways with the band as went on to work with INXS on the song “Not Enough Time” . But, what Deni was itching for was a solo career. She got her wish granted in late 1994 when she signed a deal with Mushroom Record. She released the R&B groove “It’s Alright” the summer after. According to Wikipedia, the sound from Deni’s solo career sharply differentiated from that from her collaborated singles with Rockmelons. Nevertheless, the song was a slight dance hit, reaching #4 on the Australian ARIA Single Charts. However, the success was short-lived. Deni released her debut album, “Imagination”, in mid-1995 with disappointing sales. Furthermore, the album was a bigger disappointment when it was released overseas, only selling less than 300 copies. Nevertheless, Deni and her record label didn’t give up, they just went with a different solution; have Deni move the UK and release the album under a different name. It work somewhat as the re-branded album, now called “Pay Attention”, reached #35 on the UK Album Charts and produced some top twenty singles on the UK and US dance charts. Inspired by the semi-success, Deni released a remix album, featuring new versions of songs from her debut album, in 1998. However, like “Imagination”, like it didn’t fare well. To this day, Deni Hines is still pretty active in the musical world. She has travelled around the world, worked with various artists like will.i.am, and starred in various musicals, movies, and even in the show “Celebrity Apprentice Australia”. Although many laugh at Deni’s ill-willed solo career, I thoroughly enjoy it, especially “Imagination”. To be honest, I never knew of Deni Hines until I found “Imagination” in the “junk bin”, or what others call the albums that are heavily discounted because no one cares about, at the local second-hand electronics shop. I popped the CD into my computer, burned the songs on iTunes, and started to listen to the album. It was a while after I started listening that I thought, “Hey, this isn’t a bad album anyway!” and “It’s so 90’s R&B but the great part of it”. I think the best song of “Imagination” is Deni’s first single, “It’s Alright”. It’s so 90’s R&B with the sound, the vocals, and even the video itself! It’s not too bad although as I can listen to this song over and over. The song starts out with a mellow intro with Deni singing a couple of “la la la”s. Then, it goes full in as the song transitions into the chorus and then the first verse. It’s during the first verse that Deni’s beautiful vocals are showcased. I love how Deni’s uses her vibrato, usually using it on the low notes, that enunciates the passion that characterizes the song. Also love her sliding “Ohs” in the middle of choruses; so unique yet pretty. It also has a lot of power; going from a calm setting in the chorus to the release of tension and emotions at the chorus. I only wished the song had a better promotional video in Australia. I don’t really like to watch Deni just move her body all over a corner in a random room. And sometimes, she is trapped by this freaky men who is doing those weird spider moves on her. Maybe it’s just me, but those men are freaky. I really do like the outdoor shots as they shows off Deni’s smiling, sweet personality and dance moves really well. Actually, these type of shots describe my attitude for this song; I just want to dance freely and blast this song whenever I am driving, especially during the lovely spring weather we had this weekend. Besides that, The Aussie crew should have took notes from “It’s Alight”‘s UK promo video when they were promoting her works as it isn’t weird as the other one, At least she is doing something normal with other people in a normal place. And her guy doesn’t look like some freaky arachnid! Despite what people or facts might say about her short-lived music career, “Imagination” has some great songs that are really worthy to listen to. I might be a huge sucker for 90’s R&B, the album has a great sound that features the Deni’s strong vocals throughout. “Don’t judge a book by its cover” and try out “Imagination” one of these days! Don’t Wanna to Get Happiness with TRUE KISS DESTINATION? It’s been another day where I am sitting at Starbucks and writing as I wait for my internet to be installed at my new apartment. My new apartment? What? The reason why I haven;t been writing a lot on this blog recently is because I recently moved from countryside Yamanashi to big city Nagoya. Because of this, I lack internet at my place and it’s takes time to get be hooked here in Japan. Don’t worry, I be up and running, writing more, once I get my place online. But, since I am on a writing spree, I would like to share a song I been listening all day today. 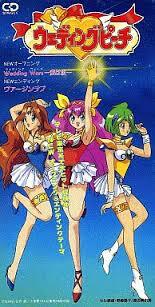 The song is performed by the Japanese duo named TRUE KISS DESTINATION. 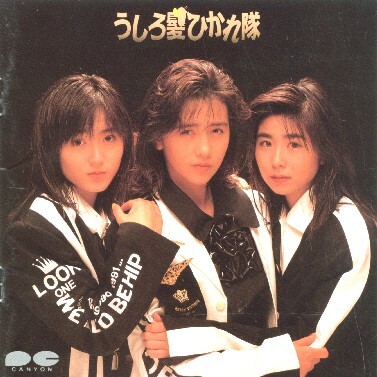 This band was another in a series of groups, artists, and projects that was founded and produced by the music mastermind of the 90s dance scene, Tetsuya Komuro, TRUE KISS DESTINATION was formed in late 1998 when it was announced that Komuro was going to work with former dos member Asami on a dance music project. The duo released their first indies self-titled album on February 1999. Released on the group’s very own label, “TRUE KiSS DESTiNATiON” was hailed as a sensation at various dance clubs as it added an American hip-hop/R&B flavor by being recorded in the heart of New York City with various American artists like De La Soul and Lisa Wilson featuring on certain tracks. TRUE KISS DESTINATION moved on with a major debut in the spring of 1999 by releasing the single “AFRiCA”, a cover of the classic TOTO song. 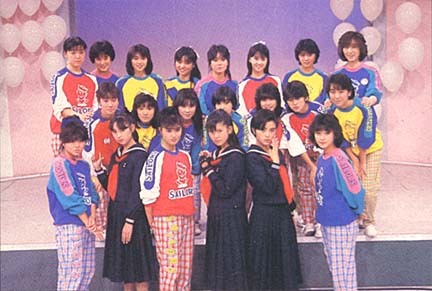 The group had about average success as their singles and albums charted in the top 50 on the Oricon charts. When they planned to release their fifth single in late 1999, TRUE KISS DESTINATION decided to shorten their name to “Kiss Destination”. Asami and Tetsuya Komuro kept on releasing music well into the new millennium, often on indies labels, while the pair became closer romantically. The two decided to get married in 2001 and had a kid together. However, the wedding bliss ended a year later when the couple decided to divorce. Thus, ending TRUE KISS DESTINATION. “VICTIM” is a song that was featured on the duo’s debut indies album. The song features minimal background instruments like the typical drum kit found in any dance songs, the synthesized sounds, and boom bass. I think what makes up for the lack of instrumentation is the vocals, especially in the chorus. Asami doesn’t really have bad vocals as her singing and stamina is really strong during the verses. But, it is during the chorus where the song and even her vocals really shine when her vocals are combined with the hushed R&B background vocals. What also stands out is the erratic rhythms throughout the song. The use of staccatos in the chorus intensifies it as makes the melodic arches more dramatic. The staccatos are also found throughout the song: the background vocals introducing the song, the musical interludes, and other places. Despite it’s simplicity, “VICTIM” is a hidden treasure with the great use of the vocals, the R&B sound, and the fact that it’s produced by Tetsuya Komuro and Marc Panther, a match made in heaven.